Is there a new ADA? What some call a new ADA is really the ADA Amendments Act – or the ADAAA. After the ADA was originally passed in 1990, cases started being filed and ending up in courts. Some were appealed all the way to the U.S. Supreme Court. Rulings by the Supreme Court, as well as lower courts, began to narrow the definition of disability. Whether a person had a disability in order to sue became the focus of most disputes under the ADA. Congress never intended for it to be that way. The focus of the ADA was supposed to be on access and accommodation, not on whether the person really had a disability. Congress had not foreseen the ways in which the courts would narrowly interpret, and ultimately change, the definition. So the ADAAA was passed in 2008 and essentially overturned those Supreme Court cases that narrowed the definition of disability. Congress made clear that the definition must be “construed in favor of broad coverage of individuals” with disabilities. So rather than this being a “new ADA,” it really is just going back to the way Congress meant the ADA to be when it was first written and passed in 1990. Then in 2010, effective in 2012, the 2010 ADA Standards were passed into law. What are the 2010 Standards? Effective March 15, 2012, the applicable standards for new construction and alterations for either a public entity under Title II or a place of public accommodation under Title III are the 2010 ADA Standards for Accessible Design. 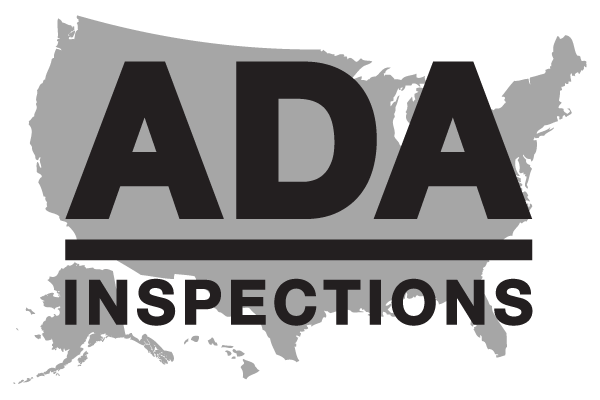 The 2010 ADA Standards can be found at: http://www.ada.gov/2010ADAstandards_index.html. If I am altering my building or adding an addition can I use the 1991 Stardards or do I use the 2010 Standards? As of March 15, 2012, the applicable standards for alterations and additions are the 2010 ADA Standards for Accessible Design. It is important to remember that the 1991 Standards are still relevant after March 15, 2012. Elements not altered after March 15, 2012 that comply with the requirements for those elements in the 1991 Standards, do not need to be modified, even if the new standards have different requirements for these elements. This provision is called “Safe Harbor.” However, if your business chooses to alter elements that were in compliance with the 1991 Standards, the safe harbor no longer applies to the altered elements which must now comply with the 2010 ADA Standards. How do the changes in the 2010 Standards apply to an existing parking lot? If the existing accessible parking spaces are in compliance with the 1991 ADA Standards, then the “safe harbor” provision applies and you do not have to make modifications to the accessible parking spaces even though the new 2010 ADA Standards have a few different requirements. However, if your business chooses to alter the parking spaces, the safe harbor no longer applies and your accessible parking must comply with the 2010 ADA Standards. For example: A business’ parking lot has a total of 250 parking spaces and, as required in the 1991 Standards, the lot includes seven accessible parking spaces, one of which is van-accessible. The 2010 Standards now require two van-accessible spaces even though the total minimum number of accessible spaces remains at seven. The business does not have to modify its parking lot to provide the additional van-accessible space until the lot undergoes a planned alteration (re-striping, re-surfacing, etc.). If the existing accessible parking spaces are not in compliance with the 1991 ADA Standards, you must construct or alter accessible parking spaces in compliance with the 2010 ADA Standards if it is readily achievable to do so. Is my building grandfathered under the 1991 Standards or do I have to comply with the 2010 Standards? The ADA does not have a provision to "grandfather" a facility but it does have a provision called “safe harbor” in the revised ADA regulations for businesses and state and local governments. A "safe harbor" means that you do not have to make modifications to elements in an existing building that comply with the 1991 Standards, even if the new 2010 Standards have different requirements for them. This provision is applied on an element-by-element basis. However, if you choose to alter elements that were in compliance with the 1991 Standards, the safe harbor no longer applies so the altered elements must comply with the 2010 ADA Standards. What elements in the 2010 Standards were not in the 1991 Standards? The 2010 Standards contain elements that are not in the 1991 Standards. These elements include recreation facilities such as swimming pools, team and player seating, accessible routes to court sports facilities, saunas and steam rooms, fishing piers, play areas, exercise machines, golf facilities, miniature golf facilities, amusement rides, shooting facilities with firing positions, and recreational boating facilities. Because these elements are not in the 1991 Standards, they are not subject to the safe harbor exemption. State and local governments must make these items accessible if necessary to ensure program accessibility, unless an undue burden would result. Public accommodations must remove architectural barriers to these items. What is the definition of disability under the ADA law? It is important to remember that in the context of the ADA, “disability” is a legal term rather than a medical one. Because it has a legal definition, the ADA’s definition of disability is different from how disability is defined under some other laws. The ADA defines a person with a disability as a person who has a physical or mental impairment that substantially limits one or more major life activity. This includes people who have a record of such an impairment, even if they do not currently have a disability. It also includes individuals who do not have a disability but are regarded as having a disability. The ADA also makes it unlawful to discriminate against a person based on that person’s association with a person with a disability. What are “major life actvities”? Major life activities are those functions that are important to most people’s daily lives. Examples of major life activities are breathing, walking, talking, hearing, seeing, sleeping, caring for one’s self, performing manual tasks, and working. Major life activities also include major bodily functions such as immune system functions, normal cell growth, digestive, bowel, bladder, neurological, brain, respiratory, circulatory, endocrine, and reproductive functions. Does an employer always have to provide reasonable accomodations to persons with disabilities? No. An employer does not have to provide a reasonable accommodation that would cause an "undue hardship." Undue hardship means “significant difficulty or expense.” Undue hardship must be based on an individualized assessment of current circumstances that show that a specific reasonable accommodation would cause significant difficulty or expense. An employer may not claim undue hardship because the cost of an accommodation is high in relation to an employee's salary. What is an example of “regarded as having a disability”? An example would be if a person applies for a job as a customer service representative at a department store. The face of the person is badly scarred from an automobile accident. The interviewer doesn’t want to give them the job, in spite of their skills and experience, because he thinks customers will be uncomfortable looking at them. The person is not substantially limited in any major life activity, but the interviewer is “regarding the person as” if they have a disability. Are all people with disabilities covered under the ADA? A lawyer answer is “it depends”. All people who meet the ADA definition of disability are covered by the ADA in general, but they still may not have rights under particular sections of the ADA. For example, there is a section of the ADA that deals only with employment discrimination. If a person with a disability is not employed and is not seeking employment, then that person would not necessarily be covered by that part of the ADA, although the person would be covered by other parts of the ADA. What is the difference between ADA and ABA? ADA stands for Americans with Disabilities Act and "ABA" stand for Architectural Barrier Act. The enforceable ADA standards apply to places of public accommodation, commercial facilities, and state and local government facilities. Standards issued under the Architectural Barriers Act (ABA) apply to facilities designed, built, altered, or leased with certain federal funds for federal buildings including post offices, social security offices, federal courthouses and prisons, and national parks. Passed in 1968, the ABA is one of the first laws to address access to the built environment. It also covers non-federal facilities, such as public housing units and mass transit systems, built or altered with federal grants or loans. Coverage is limited to those funding programs that give the federal agency awarding grants or loans the authority to establish facility standards. Four agencies establish the ABA standards according to guidelines issued by the Access Board: the General Services Administration (GSA), the Department of Defense (DOD), the Department of Housing and Urban Development (HUD), and the U.S. Postal Service (USPS). The latest editions of the ABA standards issued by GSA, DOD, and USPS are substantively the same and replace the earlier Uniform Federal Accessibility Standards. 12) Places of exercise or recreation (e.g. , gymnasiums, parks, health spas, bowling alleys, golf courses). What is the difference between "public accomodation" and "commercial facility"? Businesses and non-profit organizations that provide goods and services to the public are called "public accommodations." This includes pharmacies, grocers, other retailers, restaurants, hotels, banks, medical practices, legal offices, dry cleaners, night clubs, movie theaters, art galleries, health spas, amusement parks, schools, child care centers, and many other businesses. There are seven million businesses in the United States that fall in this category, ranging from major chains to small mom-and-pop establishments. All the lessons in this course apply to businesses in this category. Businesses such as manufacturers or wholesalers are called "commercial facilities." Because they do not serve the public directly, they are not public accommodations and they do not have to follow all the ADA rules for public accommodations. What does the term “readily achievable” mean? Implementation regulation 28 CFR, Section 36.304, Removal of Barriers, states, "A public accommodation shall remove architectural barriers in existing facilities, including communication barriers that are structural in nature, where such removal is readily achievable, i.e., easily accomplishable and able to be carried out without much difficulty or expense." This rule applies to any building regardless of when it was built. So, "readily achievable" means "easily accomplishable and able to be carried out without much difficulty or expense." Clearly, this definition leaves a lot of room for interpretation. That said, the ADA has limits. Businesses are not required to change their policies and procedures in any way that would cause a “fundamental alteration” in the nature of their goods or services, would undermine safe operation of the business, or would cause a “direct threat” to the health or safety of others. A "fundamental alteration" is a change that is so significant that it alters the essential nature of the goods, services, facilities, privileges, advantages, or accommodations offered. 21) Installing vehicle hand controls. What are the ADA requirements for State and Local Governments? The Americans with Disabilities Act (ADA) requires state and local governments, businesses and non-profit organizations to provide goods, services and programs to people with disabilities on an equal basis with the rest of the public. The ADA has different requirements for state and local governments and for places of public accommodation (businesses and non-profit organizations that serve the public). State and local governments must ensure that services, programs and activities, when viewed in their entirety, are accessible to people with disabilities. This is part of public entities’ program accessibility obligations. Alterations to older buildings may be needed to ensure program accessibility. Generally this is a greater obligation than “readily achievable barrier removal”, the standard that applies to public accommodations. State and local governments are not required to take any action that would result in undue financial and administrative burdens. State and local governments’ ADA obligations for program accessibility are in the Department of Justice’s ADA Title II regulations 28 CFR Part 35.150. The decision of what is readily achievable is made considering the size, type, and overall finances of the public accommodation and the nature and cost of the access improvements needed. Barrier removal that is difficult now may be readily achievable in the future as finances change. ADA obligations for barrier removal in public accommodations are described in the Department of Justice’s ADA Title III regulations 28 CFR Part 36.304. What access requirements for pools exist from ADA rules? People with disabilities were, for too long, excluded from participating in many recreational activities, including swimming. The revised 2010 Standards change that. For the first time, the 2010 Standards set minimum requirements for making swimming pools, wading pools, and spas (pools) accessible. Newly constructed and altered pools must meet these requirements. Public entities and public accommodations also have obligations with respect to existing pools. State and local governments must make recreational programs and services, including swimming pool programs, accessible to people with disabilities. Public accommodations must bring existing pools into compliance with the 2010 Standards to the extent that it is readily achievable to do so. What standard needs to be considered or enforced when both a state local code and the ADA 2010 Standard are applicable? In a situation where the requirements of both a state or local building code and the 2010 ADA Standards need to be simultaneously considered, the code or Standard which results in greater accessibility takes precedence. This interpretation is based on the concept of “equivalent facilitation” from section 103 of the 2010 ADA Standards which states that alternative standards for the use of designs, products, or technologies can be used as long as they result in substantially equivalent or greater accessibility and usability. Thus, a state or local code can be used if it contains a requirement that provides a different but greater level of accessibility than the 2010 ADA Standards. If the use of a state or local code instead of the 2010 ADA Standard is challenged, the covered entity is responsible for defending the use of this code. The ADA accessibility requirements do not supplant or replace State or local laws that impose higher accessibility standards. The governing principal to follow when Federal, State, or local codes differ is that the more stringent requirement applies. When a building or space is leased, who is responsible for compliance with the ADA Standards, tenant or owner? Both tenants and landlords have obligations to ensure that facilities and operations are ADA compliant. The lease may indicate how barrier removal responsibilities are shared but it is important to remember that the lease does not relieve either tenant or landlord from their individual obligations to comply with the ADA. The ideal time to address this issue is when you are leasing new space or renewing a lease. A tenant should request that the landlord agree in the lease to modify those areas which are under the exclusive control of the landlord, such as parking, sidewalks, entrances, and rest rooms. If the lease specifies that the tenant has control over these areas, then the tenant should request that a provision be added to the lease so that the tenant can make those alterations needed to comply with barrier removal requirements. What are the key provisions of Title I of the ADA act? 1. Prohibits discrimination on the basis of disability in recruitment, hiring, promotions, training, pay, social activities, and other privileges of employment. 2. Employers may not ask medical or disability related questions of job applicants before a job offer. 3. Employers must keep all medical records and disability information confidential and in separate files. 4. Employers must provide reasonable accommodation to a qualified employee or job applicant with a disability, unless doing so would cause “undue hardship” for the employer. A reasonable accommodation is any change in the work environment or in the way things are usually done to help a person with a disability apply for a job, perform the duties of a job, or enjoy the benefits and privileges of employment. Examples include: making facilities accessible, job restructuring, part-time or modified work schedules, acquiring or modifying equipment, providing qualified readers and reassignment to a vacant position. 5. An employer does not have to provide the exact accommodation the employee or job applicant requests. If more than one accommodation would be effective, the employer may choose which one to provide. Must an employer modify an existing facility to make it accessible? Yes. The employer's obligation under Title I is to provide access for an individual applicant to participate in the job application process, and for an individual employee with a disability to perform the essential functions of his/her job, including access to a building, to the work site, to needed equipment, and to all facilities used by employees. For example, if an employee lounge is located in a place inaccessible to an employee using a wheelchair, the lounge might be modified or relocated, or comparable facilities might be provided in a location that would enable the individual to take a break with co-workers. The employer must provide such access unless it would cause an undue hardship. Under Title I, an employer is not required to make its existing facilities accessible until a particular applicant or employee with a particular disability needs an accommodation, and then the modifications should meet that individual's work needs. However, employers should consider initiating changes that will provide general accessibility, particularly for job applicants, since it is likely that people with disabilities will be applying for jobs. The employer does not have to make changes to provide access in places or facilities that will not be used by that individual for employment-related activities or benefits. Are exit doors usable only in one direction required to comply on both sides? No. Under the ADA Standards, compliance is not required on both sides of those doors or gates that can be used in one direction only, such as exit-only doors. Compliance is required only on the usable side. However, if a door or gate is usable in both directions, even occasionally, such as exit-only doors that may automatically unlock in emergencies to be usable from both directions, then compliance on both sides is required. What is a circulation path? An exterior or interior way of passage provided for pedestrian travel, including but not limited to, interior and exterior walks, paths, hallways, courtyards, elevators, platform lifts, ramps, stairways, and landings. A circulation path may not be an accessible route, but an accessible route should always be part of a circulation path. Do limits on protruding objects apply to stairways? Yes, requirements for protruding objects are not limited to accessible routes and apply to all circulation paths, including stairways and their landings. Are requirements for protruding objects limited to hallways and corridors? No, requirements for protruding objects apply to all circulation paths, including those in rooms and spaces off corridors. They apply to both interior and exterior circulation paths. Do drinking fountains pose hazards as protruding objects? Maybe. Cantilevered units at standard heights for people who stand must be recessed or protected as protruding objects. This is not required for wheelchair accessible units with no more than a 27” clearance below (the minimum required for knee clearance and the maximum recognized for cane detection). Can curbs be used to indicate areas with less than 80” of vertical clearance? Yes, but not recommended. The standards specify a maximum height (27”) for the leading edge of barriers so they are within cane sweep, but a minimum height is not specified. Curbs may be mistaken for a step or change in level, instead of a barrier. For this reason, barriers significantly higher than a curb or riser, such as a guardrail, planter box, bench, parapet wall, or similar elements are recommended. Do requirements of accessible means of egress apply to employee work areas? Yes, requirements for accessible means of egress apply to employee work areas. The ADA Standards (§203.9) require that employee work areas “be designed and constructed so that individuals with disabilities can approach, enter, and exit the employee work area” and apply requirements for accessible means of egress (§207.1) to employee work areas. Employee work areas also must include wiring for visible alarms if they are served by audible alarms, and those that are 1,000 square feet or more must have compliant common use circulation paths. Are employee restrooms and break rooms required to be accessible? Yes, spaces used by employees for purposes other than work, including restrooms, break rooms, locker rooms, lounges, and parking must be fully accessible. Areas used only by employees for work are not required to be fully accessible but must be connected by accessible routes and means of egress for approach, entry, and exit and have wiring to support visual alarms if served by audible alarms. Also, circulation paths must be accessible in work areas at least 1,000 square feet in size. What does access for “approach, entry, and exit” to employee work areas require? Access for individuals with disabilities to “approach, entry, and exit” employee work areas requires that the following be provided at a minimum: an accessible route to the work area, a compliant entrance, including any entry door or gate, to the work area, and wheelchair space (30 inches by 48 inches minimum) within the work area. Work areas also must also meet referenced requirements in the International Building Code for accessible means of egress and also have wiring to support later installation of visual alarm appliances. What are the ADA requirements for altering a facility? All alterations that could affect the usability of a facility must be made in an accessible manner to the maximum extent feasible. For example, if during renovations a doorway is being relocated, the new doorway must be wide enough to meet the new construction standard for accessibility. When alterations are made to a primary function area, such as the lobby of a bank or the dining area of a cafeteria, an accessible path of travel to the altered area must also be provided. The bathrooms, telephones, and drinking fountains serving that area must also be made accessible. These additional accessibility alterations are only required to the extent that the added accessibility costs do not exceed 20% of the cost of the original alteration. Elevators are generally not required in facilities under three stories or with fewer than 3,000 square feet per floor, unless the building is a shopping center or mall; the professional office of a health care provider; a terminal, depot, or other public transit station; or an airport passenger terminal. What is a “path of travel”? A path of travel includes an continuous accessible route from an accessible entry point to the altered primary function area and the bathrooms, telephones, and drinking fountains serving the primary function area. The path of travel can also include sidewalks, lobbies, corridors, rooms, and elevators. What is the difference between an alteration and normal maintenance? Alterations are defined in the standards (§106.5) as “a change in a building or facility that affects or could affect the usability of a building or facility or portion thereof.” Many types of projects are covered as “alterations,” including remodeling, renovation, rehabilitation, reconstruction, restoration, resurfacing of circulation paths or vehicular ways, and changes or rearrangement of structural parts, elements, or walls. For example, replacing a door is an alteration because it may change the usability of the door. Normal maintenance includes periodic maintenance such as re-roofing, painting or wallpapering, or changes to mechanical and electrical systems, as long as the changes do not affect the usability of the system. Periodic maintenance is not considered an alteration unless it affects a facility’s usability. For example, a project limited to an HVAC system that includes replacing a blower or coil component does not affect the usability; however, the addition of new thermostat(s) could affect a facility’s usability because it involves elements (operable parts) covered by the standards. What is a clear space? Clear space is usually associated with floor or ground space. When a clear space is required, the minimum dimensions for clear floor or ground space is 30 inches by 48 inches. Can knee or toe space be part of a clear space? Yes, as long as the required dimensions for the knee or toe spaces are installed. What is defined as toe space? The space under an element between the surface of the floor or ground and 9 inches above the floor or ground. What is defined as knee space? The space under an element between 9 inches and 27 inches above the finished floor or ground. Is turning space required in all rooms and spaces? No. Turning space is required in certain spaces, such as toilet and bathing facilities, dressing and fitting rooms, and transient lodging guest rooms. Unless addressed by a specific requirement for turning space in the standards, other spaces are not required to provide them, including lobbies, offices, and meeting rooms. Are redundant controls for an element required to comply? Maybe. If redundant controls, other than light switches, serve a single element, one control in each space is not required to comply. If a redundant control is located in a different space, however, it must comply. All light switches are required to comply. What types of electrical or communication receptacles are exempt because they serve a “dedicated use”? Electrical receptacles serving a dedicated use include those installed for appliances, including refrigerators, ranges, and dishwashers, and wall clocks. Floor electrical receptacles are also exempt. Communication receptacles serving a dedicated use include phone jacks, data ports, network and audio-visual connections. Electrical receptacles provided for portable communication devices such as TTYs are not covered by this exception and must comply. Do reach range requirements apply to elements or only to operable parts of elements? Reach range requirements apply to the operable portions of elements, including handles, controls, switches, buttons, control pads and other mechanisms that must be activated or manipulated for use. Non-operable portions of elements do not have to be within accessible reach ranges. Must operable parts be usable with a closed fist? No. Closed-fist operation is a good performance test but is not required by the standards. Many types of operable parts, such as pull handles, satisfy the requirements even though they may not be operable with a closed fist. Are turn-key locks prohibited by the standards? No. Key locks or key cards are not prohibited by the standards which apply only to the fixed portions of operable parts. Similarly, items dispensed by ATMs and fare machines, such as receipts, cash, fare cards, and vending machine products are not covered by the standards. If no pedestrian route onto a site is provided, is an accessible route still required? No. An accessible route from the boundary of the site is not required where the only means of site arrival is a vehicular way without pedestrian access. Where vehicular ways are also intended to accommodate pedestrian travel, such as a shopping center parking lot, an accessible route is required. Do accessible routes that cross vehicular ways need to be marked as a crossing? No, accessible routes that cross vehicular ways are not required by the Standards to be marked as a crossing. The Standards only require access aisles at accessible parking spaces and accessible passenger loading zones to be marked. (Local codes and traffic laws may require crossings to be marked). Do stories not required to be on an accessible route have to comply with the Standards? Yes, stories (and mezzanines) not connected by an accessible route must still meet all other applicable requirements in the Standards. This ensures access for people with disabilities who can use stairs and facilitates compliance should vertical access be achieved through later renovations or additions. Do basements count in determining a facility’s story count? Yes. As defined in the Standards, a “story” pertains to those portions of buildings “designed for human occupancy included between the upper surface of a floor and upper surface of the floor or roof next above” (§106.5). A basement or other level below grade designed for human occupancy (i.e., equipped with lighting, ventilation, and means of egress) counts as a story. Basements or other levels not containing any space designed for human occupancy are not considered stories under the Standards. Is an accessible route required to rooftop levels? Yes. In facilities where an accessible route is required to each story (§206.2.3), an accessible route must serve rooftop levels that contain public or common use spaces or elements that are required to be accessible, such as sun decks, lounges, dining areas, bars, or swimming pools. An accessible route is not required to rooftop levels in those facilities that are exempt from the requirement for an accessible route to each story based on the number of stories or the square footage per story. In determining whether a facility qualifies for this exception, rooftop levels are not counted as a story unless they meet the definition of “story.” The Standards define a story as “that portion of a building or facility designed for human occupancy,” (i.e., equipped with lighting, ventilation, and means of egress) that is “included between the upper surface of a floor and upper surface of the floor or roof next above” (§106.5). Do the exceptions for accessible routes between stories apply to facilities that are only partially occupied by entities not permitted the exception, such as health care facility or shopping center? Maybe. Accessible routes between stories are not required in private sector facilities that are either less than 3 stories or that have less than 3,000 square feet per story excluding the professional offices of health care providers, shopping centers and malls with at least 5 sales or rental establishments, and public transit facilities, including airport terminals. In mixed use facilities that otherwise qualify for this exception, an accessible route is required to serve each story containing occupancies not permitted the exception. For example, if all sales or rental establishments of a shopping center are on the same story, an accessible route is required only to that story. If located on multiple stories, an accessible route must connect to each story that contains a sales or rental establishment. When an addition increases the number of stories or square footage beyond the maximum permitted by the exception, is an accessible route between stories required? Yes. If a facility no longer qualifies for the exception for multi-story facilities due to an increase in square footage or stories, an accessible route between stories is required where the work also includes installation of a stair or escalator where none existed previously and major structural modifications are needed (unless a compliant accessible route between stories already exists). The accessible route must connect the levels served by the new stair or escalator. Also, if the addition includes a primary function area, an accessible path of travel to the primary function area is required, including where it involves travel between stories or levels, to the extent the cost does not exceed 20% of the cost of the overall alteration. Compliance in an alteration, including with the requirement for an accessible route between stories, is not required where it is “technically infeasible.” In this case, compliance is required to the maximum extent feasible. Do businesses need to arrange display racks and/or furniture to comply with ADA accessibility? Yes. For example, restaurants may need to rearrange tables and department stores may need to adjust their layout of racks and shelves in order to permit access to wheelchair users. What is a tactile sign? Signs with “Tactile characters” are read using touch, i.e. raised characters and Braille. Is my business required to remove barriers? Yes, if your business provides goods and services to the public, you are required to remove barriers if doing so is "readily achievable". Such a business is called a public accommodation because it serves the public. If your business is not open to the public but is only a place of employment like a warehouse, manufacturing facility or office building, then there is no requirement to remove barriers. Such a facility is called a commercial facility. While the operator of a commercial facility is not required to remove barriers, you must comply with the ADA Standards for Accessible Design when you alter, renovate or expand your facility. Must a primary entrance be accessible? No. The Standards require that primary entrances to dwelling units be accessible. It is advisable, though not required, that access be provided to the primary entrances of other types of facilities. Is there a maximum travel distance to entrances from parking and other site arrival points? No, the Standards do not limit the travel distance to accessible entrances. Accessible parking spaces must be located on the shortest accessible route to an accessible entrance (relative to other spaces in the parking facility). A quantitative travel distance between entrances and site arrival points is not specified. In addition, accessible routes must coincide with, or be located in the same area as, general circulation paths. Is automation of doors required? No. Automation of doors is not required by the Standards, but it is highly recommended for entrance doors where the opening force is significant. A maximum opening force is not specified for exterior hinged doors because of the closing force typically necessary for ensuring positive latch against wind loading, air pressure, and other conditions. This often results in opening forces well above the 5 lbf maximum. Difficulty opening exterior swing doors is a common complaint. Automation offers the best solution. Otherwise, closers should be set with the minimum force practicable. Are employee entrances required to be accessible? Maybe. Where employee entrances meeting the definition of a “restricted entrance” are provided, at least one must be accessible. Other types of employee entrances must be accessible as “public entrances.” In facilities with separate visitor and employee entrances, access should be dispersed so that accessible entrances serve both types of traffic. Are closet doors and pantry doors required to comply? Requirements for doors, doorways, and gates in §404 apply to those that provide “user passage” (§206.5). Doors serving walk-in closets or pantries must comply. Doors to shallow closets or pantries, cabinets and other storage elements not providing user passage do not have to comply with provisions for doors, but must meet requirements for storage (§811), including those for clear floor space and operable parts. Is compliance on both sides of a door or gate required when it is usable only from one side? No, compliance is not required on both sides of those doors or gates that can be used in one direction only. Compliance is required only on the usable side. Examples include exit-only doors with no operating hardware on the exterior side or separate enter and exit fare gates in transit stations. However, if a door or gate is usable in both directions, even occasionally, such as exit-only doors that may automatically unlock in emergencies to be usable from both directions, then compliance on both sides is required. Can handrails or other elements overlap door maneuvering clearances? No, door maneuvering clearances must be free of any overlapping objects, even those providing knee and toe clearance, which can interfere with maneuvering at doors and doorways. However, door maneuvering clearances can be offset up to 8” from the face of the door or gate to accommodate wall thickness, casework, shelves, or other elements adjacent to doorways, including handrails. The door maneuvering clearance must be measured from the leading edge of such elements so that the full clearance is free of any obstruction. Is latch-side maneuvering clearance as specified in the Standards applicable to doors with panic bars? Yes. When latch-side clearance is required as part of the maneuvering clearances specified for a door, including on the push side of doors with a forward approach that have both a closer and latch, it must be provided at manual doors with panic bars as well. Latch-side clearance not only provides proper positioning at door hardware but also facilitates proceeding through doors against the force of closers. Is a sales and service counter with a cash register required to be accessible? Yes, at least one of each type of sales or service counter where a cash register is located must be accessible. Accessible counters must be dispersed throughout the facility. Are frozen food and deli counters included as a sales and service counter? No, but employees should be instructed to bring food items around to the front of high counters for individuals with disabilities. Is a dormitory considered transient lodging? Yes, transient lodging is any building or facility containing one or more guest room(s) for sleeping that provides accommodations that are primarily short-term in nature. Hotels, motels, dormitories, and similar places are considered transient lodging. Four percent of the first 100 rooms and approximately two percent of rooms in excess of 100 must be accessible to persons with mobility impairments and to persons with hearing impairments (i.e. , contain visual alarms, visual notification devices, volume-control telephones, and an accessible electrical outlet for a text telephone). In hotels with more than 50 rooms, an additional one percent of the rooms must be accessible rooms equipped with roll-in showers. Moreover, additional rooms must be accessible to persons with hearing impairments in the same percentages as above (i.e. , four percent of the first 100 rooms and approximately two percent of rooms in excess of 100). There are special provisions for alterations. Does transient lodging include residential dwelling units? No, transient lodging does not include residential dwelling units intended to be used as a residence for long periods of time. Examples of residential dwelling units include inpatient medical care facilities, licensed long-term care facilities, detention or correctional facilities, or private buildings or facilities that contain not more than five rooms for rent or hire and that are actually occupied by the proprietor as the residence of such proprietor. What is TRS? The telecommunications relay service (TRS) is a free nationwide service that enables people who have hearing or speech disabilities who use TTYs (teletypewriters, also known as text telephones or TDDs) to communicate with people who use telephones and vice versa. When a TTY-user types his or her words on a TTY, the words appear on a display in front of the relay operator, and the operator reads those words to the telephone-user. The telephone-user speaks his or her words to the operator, and the operator types those words to send them to the TTY-user. The relay service is also used to communicate with people who can speak to the telephone-user but cannot hear the response, and by people who can hear the telephone-user but cannot speak clearly enough to respond. If businesses accept calls from the public, they must accept relay calls. To place a call to a customer who uses a TTY, dial 7-1-1 to access the relay service. Are locks operated by keys prohibited due to the pinching or twisting of the wrist their operation typically requires? No, non-fixed portions of door or gate hardware, including keys and access cards, are not covered by the Standards, but those that can be used without pinching or turning will provide easier access. Non-fixed portions can be modified or adapted as needed for accessibility. Are spring hinges and gravity hinges considered “closers” in determining the size of maneuvering clearances? No. Some approaches require additional maneuvering clearances when a door or gate is equipped with a closer because of the additional force that must be counteracted in proceeding through doors. Since spring and gravity hinges do not significantly impact the opening force of doors, they are not considered “closers” for purposes of specifying door maneuvering clearance. Can maneuvering for a forward approach be provided when there is space at least 60” deep in front of a door? Maybe. Space at least 60” deep in front of a door that is unobstructed on approach sides will provide sufficient depth for a forward approach if appropriate strike-side clearance is provided; but in the case of pull-side/ hinge-side approaches, greater latch-side clearance (36” minimum) is still required because the minimum depth for this clearance is 60” (54” if the latch-side clearance is at least 42”). Is additional latch side clearance required on the push side of doors with a forward approach when either a latch or closer (but not both) is provided? No, latch clearance 12” minimum is required for forward approaches on the push-side of doors equipped with both a closer and a latch. If a door has a closer but no latch, or a latch and no closer, no additional latch side clearance is required (although providing the clearance is helpful in maneuvering through doors with closers without latches). This is also true for the additional depth required for hinge approaches on the push side when both a closer and latch is provided. For latch approaches, additional clearance is required on the push side and the pull side when just a closer is provided. Are screen doors or storm doors considered “doors in series”? No, screen or storm doors are not considered “doors in series” since they are part of the same doorway opening as the entry door. They are not prohibited by the Standards but must meet all applicable requirements for doors except those pertaining to doors in series. Maybe. The specific editions of the ANSI/BHMA Standards referenced by the Standards are to be followed (although the Access Board intends to update references to keep them current). Compliance with a later edition may be possible under the provision for “equivalent facilitation” (§103) if it is comparable to, or stricter than, the referenced editions. Must the minimum number of spaces be determined separately for each parking facility on a site or can it be based on the collective total of spaces provided on a site? The minimum number of accessible parking spaces, including van accessible spaces, must be calculated separately for each parking facility on a site. Spaces required for one parking facility can be provided in another where doing so results in equal or greater access and convenience for users, but the required number must still be calculated separately for each parking facility. Is accessible parking required on sites where no parking is intended? No, the ADA Standards require accessible spaces only where parking is provided. They do not require accessible spaces where parking is not provided at all. Most local and state codes and regulations address the amount of parking required for a site. Are accessible spaces required in employee parking lots? Yes, the requirements for accessible parking spaces apply equally to employee parking facilities and are not limited to visitor parking. Where a parking facility contains parking spaces for visitors and spaces reserved for employees only, it is important that sufficient access is provided to both types of spaces. In this case, it is advisable to calculate the minimum number separately for each type of space as though they were separate parking facilities, but this is not required if they are both located in the same parking lot or garage. Both accessible visitor and employee spaces must be on the shortest accessible route to an accessible entrance. Are accessible spaces required in temporary parking lots and in unpaved lots, such as gravel or grass lots? Yes, the ADA Standards apply to both permanent and temporary facilities, including parking facilities (§201.3). In all parking facilities, including gravel or grass lots, parking spaces and access aisles must be marked and have firm, stable, and slip resistant surfaces as specified for accessible ground and floor surfaces (§302). Is resurfacing of a lot considered an alteration? Maybe. According to the definition of "alteration," normal maintenance is not considered an alteration unless it affects a facility’s usability. For example, if a lot is to be resurfaced or its plan reconfigured, accessible spaces must be provided. However, work that is primarily maintenance, such as surface patching, does not trigger a requirement for accessible spaces. When the work is not considered an alteration, providing accessible spaces is advisable where sufficient accessible parking is lacking and may be necessary in meeting obligations for program access by government entities and barrier removal by public accommodations as required by DOJ’s regulations. Do the Standards specify a maximum travel distance between parking spaces and facility entrances? No. The Standards require that accessible parking spaces be on the shortest accessible route to an accessible entrance, but they do not specify a maximum travel distance, nor do they require that parking be installed where none is planned (e.g., directly in front of an entrance). Can accessible spaces required for one parking facility be located in another one instead? Accessible spaces required for one parking facility can be located in a different parking facility on the site if it results in substantially equal or greater access and convenience for users. (§208.3.1, Ex. 2). The term “user convenience” applies to factors such as protection from the weather, security, lighting, and comparative maintenance. Can van spaces required for a parking garage be located in a surface lot instead? No. Accessible parking, including van spaces, required for one parking facility can be located in another parking facility only where it results in substantially equal or greater access and convenience for users. Open lots do not provide the same level of protection, security, and lighting as garage parking. Is vertical access required to all levels of a parking garage? Maybe. The Standards require that an accessible route connect each story in “multi-story” facilities but include certain exceptions based on the number of stories or the square footage per floor (§206.2.3). As defined in the Standards, a “story” contains space for “human occupancy” (i.e., equipped with ventilation, light, and means of egress). Levels of open parking structures that do not contain occupiable space are not considered “stories” under the Standards. However, an accessible route must connect all accessible parking spaces to the accessible entrances they serve as well as any other elements or spaces required to be accessible. Vertical access must be provided as necessary to address any changes in level along these required accessible routes. For example, in underground parking garages, elevators or, where feasible, pedestrian ramps, are necessary to provide an accessible route from parking levels with accessible spaces to the facility they serve. Can accessible routes run behind other parking spaces? Yes, but not recommended. The ADA Standards require that an accessible route connect parking space access aisles to the accessible entrance they serve but they do not specifically prohibit the accessible route from running behind parking spaces. However, it is recommended that accessible routes be configured so that they run in front of parking spaces for greater safety. Are bollards, poles, columns, or other elements permitted within the marked area of access aisles? No elements, including bollards, columns, or poles, can encroach into the defined area of access aisles. (The width of spaces and aisles is measured to the centerline of markings but can include the full line width where there is no adjacent parking space or aisle). Must accessible routes or crossings be marked? No. The ADA Standards require accessible parking spaces and access aisles to be marked, but they do not require accessible routes, including portions crossing vehicular ways, to be marked. How are parking spaces and access aisles to be marked? The ADA Standards do not specify the method or color of parking space and access aisle markings. State or local codes and regulations may specify such markings. It is important that access aisles be marked in a manner that discourages parking in them, especially those that are 8 feet wide at van spaces. What are the requirements for the size and color of signs? The ADA Standards require accessible spaces to be designated by the International Symbol of Accessibility. In addition, van spaces must be labeled by the term “van accessible.” The Standards do not specify sign color, size, or other characteristics. Signs may be subject to additional specifications under applicable state or local requirements or the Manual on Uniform Traffic Control Devices published by the Federal Highway Administration. Can surface decals substitute for post- or wall-mounted signs? No, the Standards require signs identifying accessible parking spaces that are at least 60” high measured to the bottom edge of the sign so that they are visible when a vehicle is parked in the space. Surface decals or other identifying features may be required by local or state codes and can be provided in addition to, but not in place of, signs required by the ADA Standards. Is front-in only or angled parking prohibited for accessible parking spaces? No, the ADA Standards do not prohibit front-in only, back-in only, or angled parking spaces. However, where van spaces are angled, the Standards require the access aisle to be located on the passenger side which is the side where vehicle ramps and lifts are typically deployed. Since users pull in or back in depending on which side the access aisle is needed, it is advisable to design both regular and van accessible spaces so that they can be entered in either direction. Otherwise, consider providing one access aisle at each regular accessible space instead of allowing two spaces to share an aisle so that access is available on both sides. Can accessible spaces be parallel instead of perpendicular? The Standards do not specifically require that accessible spaces be perpendicular instead of parallel, but perpendicular parking spaces are preferred at facilities located on sites because most allow users to park facing in or out depending on the side that the access aisle is needed. If accessible parking spaces at facilities located on sites (as opposed to those located along public streets) are parallel, they must fully comply with all applicable requirements, including those for access aisles and for van spaces. Must van accessible spaces be restricted to van use? No. The required "van-accessible" designation is informative, not restrictive, in identifying those spaces that are better suited for van use and does not restrict the use of spaces to vans only. State or local codes and regulations may require additional verbiage, but the ADA Standards do not. Additional content on van designation signs can recommend that car drivers not use the space unless no other accessible parking space is available. Do the surface requirements, including those for maximum slope (1:48), apply to all portions of a parking lot? No, the surface criteria apply only to accessible parking spaces, access aisles, and accessible routes, including those serving other elements or spaces besides parking spaces. Transitions to these areas from other portions of lots should be smooth to prevent tripping hazards. Are accessible passenger loading zones required on sites where no passenger loading zone is intended? Accessible passenger loading zones are required at these sites whether or not passenger loading zones are planned: parking facilities that provide valet parking, licensed medical care and long term care facilities where the period of stay exceeds 24 hours, and mechanical access parking garages. At all other facilities, the requirements apply only where passenger loading zones are provided. What constitutes a “passenger loading zone”? Only those areas that are specifically designed or designated for passenger loading are considered “passenger loading zones” under the Standards. This includes those passenger drop-off or pick-up areas commonly found at airports, convention centers, schools, and many hotel entrances that have design features, signs, or markings indicating passenger loading zones. At other locations, compliance is not required even if passenger loading may occasionally occur, but is not specifically intended or reflected in the design. Are service or freight elevators required to comply with the 2010 Standards? When an elevator is used to provide a required accessible route between stories, it must meet requirements for passenger elevators. Elevators that serve passengers but can also be used to move freight, sometimes referred to as “service elevators,” must meet the ASME requirements for passenger elevators. Examples include elevators in residential or retail facilities that are regularly used by tenants or customers but that are also used to move furniture, merchandise, or other freight. Where provided, they must comply with the Standards. Freight elevators, on the other hand, are defined by the ASME A17.1 code as those elevators “used primarily for carrying freight and on which only the operator and the persons necessary for unloading and loading the freight are permitted to ride.” Freight elevators cannot be used in lieu of a passenger elevator to provide an accessible route between stories or mezzanines. Where provided, freight elevators are not required to comply with the Standards. Can elevator doors close sooner than the minimum opening time specified when users activate “door close”? User activation of door close (or automatic operation) cannot reduce the initial opening time of doors (3 seconds minimum) or the minimum door signal timing (based on 1.5/ ft/s travel speed for the distance from the hall call button to car door centerline). When doors automatically reopen due to a detected obstruction, they can begin to re-close when no longer obstructed. The 20 second minimum pertains to the length of time the sensory reopening device remains effective, not necessarily the length of time doors remain open. Must elevator doors remain open for 20 seconds? LULA swing doors, private residence elevator doors, and platform lift gates and doors must remain open for 20 seconds minimum. This does not apply to the doors of passenger elevators complying with §407 which must remain fully open for at least 3 seconds in response to a call (§407.3.5). The opening time is further determined by the travel distance from hall call buttons and signal timing based on a 1.5 ft/s travel speed beginning from audible and visible signalization of car arrival (§407.3.4). Reopening devices must remain effective for 20 seconds minimum, but in reopening, doors do not have to remain open for this length of time if unobstructed. Can audible signals for an elevator operate only when needed by a passenger who needs them through activation of dedicated “accessibility” control? No, audible (and visible) signals required for elevators must function automatically at all times an elevator is operational. Requiring passengers to manually activate such signals when needed is not permitted by the ADA Standards. Can hall and in-car signals be displayed horizontally (i.e., side-by-side) instead of vertically (i.e., one above the other)? Yes, hall signs can be displayed horizontally instead of vertically. However, with call buttons, the button designating the up direction must be located above the one indicating the down direction (§407.2.1.4). Are handrails required in elevator cars? The ADA Standards do not require handrails in elevators cars. If they are provided, they are not required to comply with requirements in the ADA Standards for handrails (§403.6, Advisory). Can a more recent edition of the ASME A17.1 Safety Code for Elevators and Escalators (or the ASME A18.1 Safety Standard for Platform Lifts and Stairway Chairlifts) be used instead of the editions referenced in the Standards? The specific editions of the ASME A17.1 and ASME A18.1 codes referenced by the ADA Standards are to be followed (although the Access Board intends to update references to keep them current). Compliance with a later edition may be possible under the provision for “equivalent facilitation” (§103) if it is comparable to, or stricter than, the referenced editions. What is the difference between a full size elevator and a LULA elevator? Full size elevators are normally 16 SF in size [minimum] with a minimum depth of 54 inches and minimum width of 36 inches. These are normal, or conventional, pedestrian elevators found in most commercial or government buildings. LULA stands for limited use, limited application. LULA elevators are passenger elevators that are permitted in facilities where an accessible route between stories or mezzanines is not required and as an alternative to private residence elevators and platform lifts. They cannot substitute for elevators complying with §407 of the ADA Standards that are required to meet requirements for accessible routes. For the most part, LULAs are held to the same requirements for elevators in §407 and applicable sections of the ASME safety code. However, LULAs have smaller car sizes, slower speeds, shorter travel distances, and alternative types of doors. For instance, the hoistway doors can be swinging type but they must open and close automatically, they must be power-operated, they must meet requirements for doors and referenced ANSI/BHMA Standards for low-energy doors, they must remain open for at least 20 seconds, but the requirements for door timing and delay or for car position indicators are not included. Can an elevator be used as part of a path of emergency egress? Yes. While typical elevators are not designed to be used during an emergency evacuation, evacuation elevators are designed with standby power and other features according to the elevator safety standard and can be used for the evacuation of individuals with disabilities. What is an Area of Refuge? The IBC provides requirements for areas of refuge, which are fire-rated spaces on levels above or below the exit discharge levels for elevators where people unable to use stairs can go to register a call for assistance and wait for evacuation. In other words, there is no evacuation elevator. An acknowledgment light to show that someone at the central control point knows about the call for help. Is it OK to examine a patient who uses a wheelchair in the wheelchair, because the patient cannot get onto the exam table independently? Generally no. Examining a patient in their wheelchair usually is less thorough than on the exam table, and does not provide the patient equal medical services. There are several ways to make the exam table accessible to a person using a wheelchair. A good option is to have a table that adjusts down to the level of a wheelchair, approximately 17-19 inches from the floor. (See Part 4 of this publication for a more in-depth discussion of accessible exam tables.) What is important is that a person with a disability receives equal medical services to those received by a person without a disability. If the examination does not require that a person lie down (for example, an examination of the face), then the exam table is not important to the medical care and the patient may remain seated. Can I tell a patient that I cannot treat her because I don't have accessible medical equipment? Generally no. You cannot deny service to a patient whom you would otherwise serve because she has a disability. You must examine the patient as you would any patient. In order to do so, you may need to provide an accessible exam table, an accessible stretcher or gurney, or a patient lift, or have enough trained staff available who can assist the patient to transfer. Is it OK to tell a patient who has a disability to bring along someone who can help at the exam? No. If a patient chooses to bring along a friend or family member to the appointment, they may. However, a patient with a disability, just like other individuals, may come to an appointment alone, and the provider must provide reasonable assistance to enable the individual to receive the medical care. This assistance may include helping the patient to undress and dress, get on and off the exam table or other equipment, and lie back and be positioned on the examination table or other equipment. Once on the exam table, some patients may need a staff person to stay with them to help maintain balance and positioning. The provider should ask the patient if he or she needs any assistance and, if so, what is the best way to help. If the patient does bring an assistant or a family member, do I talk to the patient or the companion? Should the companion remain in the room while I examine the patient and while discussing the medical problem or results? You should always address the patient directly, not the companion, as you would with any other patient. Just because the patient has a disability does not mean that he or she cannot speak for him or herself or understand the exam results. It is up to the patient to decide whether a companion remains in the room during your exam or discussion with the patient. The patient may have brought a companion to assist in getting to the exam, but would prefer to ask the companion to leave the room before the doctor begins a substantive discussion. Before beginning your examination or discussion, you should ask the patient if he or she wishes the companion to remain in the room. Can I decide not to treat a patient with a disability because it takes me longer to examine them, and insurance won't reimburse me for the additional time? No, you cannot refuse to treat a patient who has a disability just because the exam might take more of your or your staff's time. Some examinations take longer than others, for all sorts of reasons, in the normal course of a medical practice. I have an accessible exam table, but if it is in use when a patient with a disability comes in for an appointment, is it OK to make the patient wait for the room to open up, or else use an exam table that is not accessible? Generally, a patient with a disability should not wait longer than other patients because they are waiting for a particular exam table. If the patient with a disability has made an appointment in advance, the staff should reserve the room with the accessible exam table for that patient's appointment. The receptionist should ask each individual who calls to make an appointment if the individual will need any assistance at the examination because of a disability. This way, the medical provider can be prepared to provide the assistance and staff needed. Accessibility needs should be noted in the patient's chart so the provider is prepared to accommodate the patient on future visits as well. If the medical provider finds that it cannot successfully reserve the room with the accessible exam table for individuals with disabilities, then the provider should consider acquiring additional accessible exam tables so that more exam rooms are available for individuals with disabilities. What should I do if my staff do not know how to help a person with a disability transfer or know what the ADA requires my office to do? Also, I am unsure how to examine someone with spasticity or paralysis. To provide medical services in an accessible manner, the medical provider and staff will likely need to receive training. This training will need to address how to operate the accessible equipment, how to assist with transfers and positioning of individuals with disabilities, and how not to discriminate against individuals with disabilities. Local or national disability organizations may be able to provide training for your staff. This document and other technical assistance materials found on the ADA Website (www.ada.gov) can be used in conjunction with live training to train medical staff. The U.S. Department of Justice ADA Information Line is another resource. Anyone can call the Information Line at 800-514-0301 (voice) or 800-514-0383 (TTY) to speak with an ADA Specialist to get answers to questions about the ADA. Additionally, when preparing to assist a patient with a disability, it is always best to ask the patient if assistance is needed and if so, what is the best way to help. If the provider is unsure of how to handle something, it is absolutely OK to ask the patient what works best. If I lease my medical office space, am I responsible for making sure the examination room, waiting room, and toilet rooms are accessible? Yes. Any private entity that owns, leases or leases to, or operates a place of public accommodation is responsible for complying with Title III of the ADA. Both tenants and landlords are equally responsible for complying with the ADA. However, your lease with the landlord may specify that, as between the parties, the landlord is responsible for some or all of the accessibility requirements of the space. Frequently, the tenant is made responsible for the space it uses and controls (e.g., the examination rooms and reception area), while the landlord is responsible for common space, such as toilet rooms used by more than one tenant. Are there any tax breaks for making accessibility changes to my medical office? Yes. Subject to IRS rules, federal tax credits and deductions are available to private businesses to offset expenses incurred to comply with the ADA. See Form 8836 at www.irs.gov/pub/irs-pdf/f8826.pdf for additional information about the Disabled Access Credit established under Section 44 of the Internal Revenue Code. See Publication 535 (Number 7: Barrier Removal) at www.irs.gov/publications/p535/index.html for more information about the tax deduction, established under Section 190 of the Internal Revenue Code. Both the tax credit and deduction may be taken annually. Title II and III complaints may be sent by e-mail. Since letters and packages sent to the Disability Rights Section by U.S. Mail or other delivery service are delayed for security screening, using e-mail is the quickest way of filing a complaint. E-mail complaints also receive an immediate reply confirming that they have been received. Remember that there can be no guarantee of privacy when you send an e-mail. Provide the Department of Justice with the information needed to ensure that they communicate with you effectively. Please let the Department know if you need to receive written communications in a specific format, such as large print, Braille, e-mail, or audio recording, or if you need to receive oral communications by video phone or TTY. To ensure that all necessary information is provided, you may use this ADA Title II complaint form (http://www.ada.gov/t2cmpfrm.htm, which can be used for any Title II or III ADA complaint. Additional advice and instructions for filing a Title III complaint can be found at: http://www.ada.gov/t3compfm.htm. Include all of the information listed above, either in the body of the email or in an attachment to your e-mail. Please attach any relevant documents to your e-mail. You will receive an automatic reply e-mail confirming that your complaint has been received. Please keep a copy of your complaint and the reply e-mail for your records. If you do not receive a reply email, you may have sent your complaint to the wrong e-mail address.